The Fellowship was fortunate enough to obtain a copy of LEGEND OF THE BLACK PANDAS #1 from Rebel Star Studios. Wolly McNair writes and illustrates. Prophecy claims that two will be born; the first will cause great harm to the people, and the younger will right the wrongs that have been done. We begin the story with Jai-Den, the younger, reflecting on the beginning of the career of Ursus, the elder, and his killing of the Lion King Panda (Jai-Den’s father). Jai-Den understands his destiny to end the war, and seems to be preparing himself to meet it. This story hints very strongly at eastern influences; warriors wear ninja costumes, and there is a cadence to the dialogue that implies Far East tradition. And the characters are anthropomorphized animals. But these seem to be artistic choices rather than being key to the story. Jai-Den is a young samurai (or equivalent) who follows his destiny to return his land to its rightful ruling family. And this is a good start for an ongoing series that follows Jai-Den’s story. A classic story of good vs. evil, with interesting artwork and a world which raises lots of questions. This book has a great deal of potential, and I’ll be interested in seeing where it goes. 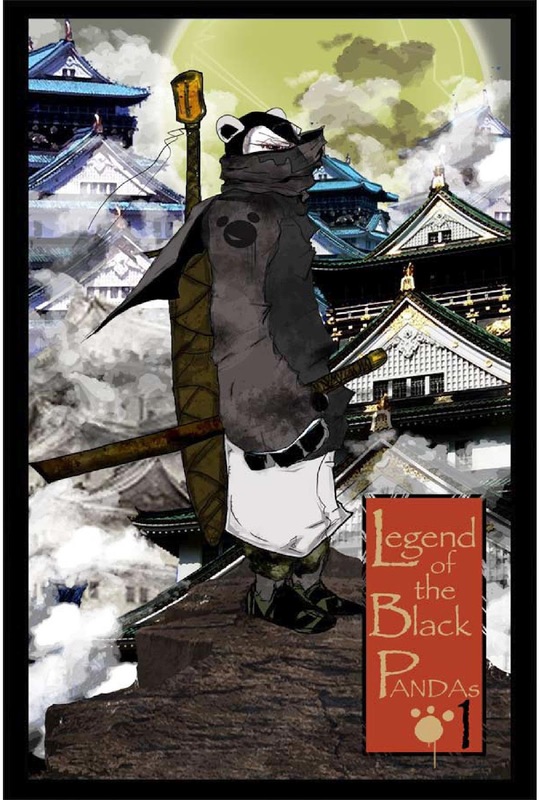 LEGEND OF THE BLACK PANDAS #1 is available now by order from http://www.rebelstarsstore.bigcartel.com/.